Do you have have birds nesting in your roof with nothing you can do? How can you get keep birds out of your roof? You Don't want birds nesting in your eves! Every spring when birds migrate, they seek out new places to build nests. Unfortunately, they can often choose your home. 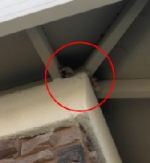 Birds can often get through the screen that your builder installed to keep them out of your vent holes. These birds can cause damage to your roof and siding that is not easy to repair. We solve this problem by keeping them out with quality workmanship and material. We cut one quarter inch galvanized steel mesh into strips and staple it to the outside of your vent holes. Birds have no chance of making it through this quality material. We at Superior know that you value your time and money. 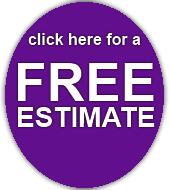 That’s why we strive to offer you the very best service and dependable workmanship that you will find in the South Sound area. Let us help you keep damaging and unsanitary birds out of your home. Superior Window and Gutter Cleaning strives to deliver amazing value with incredible service to each and every one of our customers. 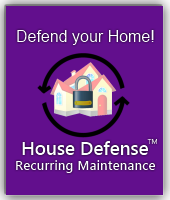 Keeps birds out of your home BEFORE they become a problem. No Mess ( We leave your home cleaner than we found it) . Support a local South Sound business.